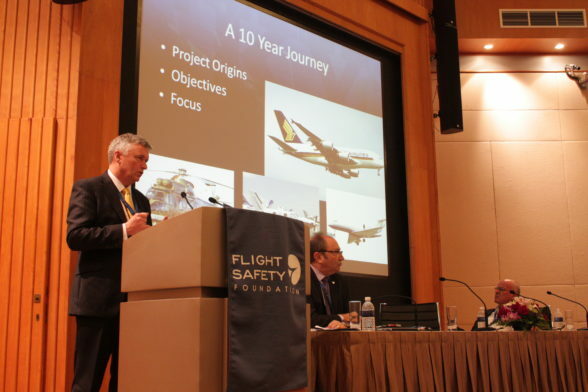 Aviation Academy (SAA), is an annual safety seminar designed to provide a platform for aviation professionals to share the latest safety challenges, issues, developments and initiatives to raise the safety standards in the Asia Pacific region. The theme for SASS 2017 is “Stepping up Safety: A Systematic Approach”. Advancements in technology and air traffic volume has increased the complexity that the aviation system operates. In this dynamic and complex environment, managing safety needs could be viewed from a systematic perspective. The seminar focuses on topics relating to recent safety challenges, human factors issues, organizational safety issues, lessons learnt from recent accidents and the latest technological improvements for safety. Aviation professionals involved in the flight operations,safety and quality assurance functions in airlines, civil aviation authorities (CAA), Maintenance, Repair and Overhaul organizations (MROs), fixed base operators(FBO), airframe, engine, system and component manufacturers, flight data monitoring service providers, educational institutions, airports and air navigation service providers (ANSP) will benefit from the seminar.